Split peas make a superb soup. Years ago I see these old movies where the pilots are flying in fog and they always tell the control tower that visibility is poor because the fog’s “thick as pea soup”. Pea soup the way they make it in the Netherlands is indeed thick, moreover it is fragrant and a thorough pleasure to eat on a chilly, rainy day. 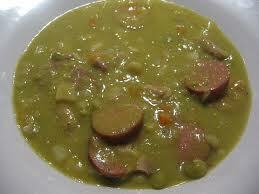 Dutch split pea soup can be made in a slow cooker if you desire. Just imagine turning it on before you leave the house in the morning and returning to a wonderful nourishing soup. Now that’s a proper Dutch split pea soup, thick and rich and hearty. I have heard the expression before, never seen the soup though. sounds really good--one of my daughter's favorites! JOYCE: A hambone is a wonderful flavouring agent. Please have a happy Easter. PAT HATT: This then would be an ideal time to try some. 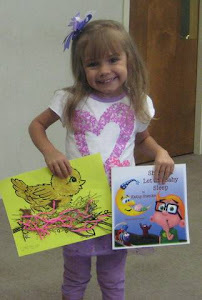 LYNN PROCTOR: Your daughter has good taste. I'm going to try this recipe. It looks similar to how my mom used to make pea soup. You know I might like split pea soup if I didn't have to look at it...it's not at all appealing but I love peas; imagine! I simply love split pea soup. This is a new one.... putting cloves in the onions. I am going to have to try that next time I make it. I think the next we're considering making lentil soup, I'm going to suggest we go with this recipe instead. Sounds delicious. Plus, to tie it back to the old airplane movies, I'll fly the spoon into my son's mouth. The clove in the onion is a classic flavoring method used for Bechamel sauce- a way to impart a mist of flavor to an otherwise pedestrian base. Pea soup however can be sublime, especially with the addition of smoked and cured pork. I love it and make it regularly (though not outside of fall/winter). I am translating the Espresso Delight, check it out! this looks amazing! oH i would put some peppered bacon in mine and call it a day! Looks like-well, you can figure out what it looks like-but I've had soup like this before. Oh, so delicious. And this looks even better than that. LIZZY: Your Easter meal will be fab with this soup, even if it is not rainy or chilly. HORST PETERS: Thanks for trying it, I hope it is as good as your moms. TRACY: Ok, is hard to imagine. Is it the colour? If so try using yellow split peas, untraditional but still good. Thanks for calling. JAY: Hi and thanks for saying so. MY JOURNEY WITH CANDIDA: Golly, do you mean I finally found a soup you can eat? Great! NATE WILSON: I like lentil soup too. I remember the airplane -spoon forty years ago for my little girl. HEATNEAT: Sounds to me like you had some culinary training. Many people consider bechamel sauce a simple white sauce,a flour/fat roux and milk and nothing else. Thanks, I'm happy that you like this soup. German language is very difficult, thanks for letting me read the latest article. KITCHEN BELLEICIOUS: Pepper bacon is a great idea. I would call it scrumptious. Thanks. Ah, so this is the soup where the saying originated! Wow, thank you for the recipe, this looks delicious! AL PENWASSER: This would go good on your "diet". THE GOLDEN EAGLE: That's right and it is a delicious soup. NIKKI: You're welcome Nikki and it is. That looks delicious! The one time I tried to make pea soup, it was a horrible disaster, but I'm going to try your recipe. Yum! ADRIENNE: It's a delicious soup I hope you will try again. MAHA: Hi, Thank You for your kind words. soup looks so yummy..wonderful recipe!! POONAM BORKAR: Thank You, we love this soup, especially in cooler weather. THE JUNKIE BOOK: Thank You for your kind words.